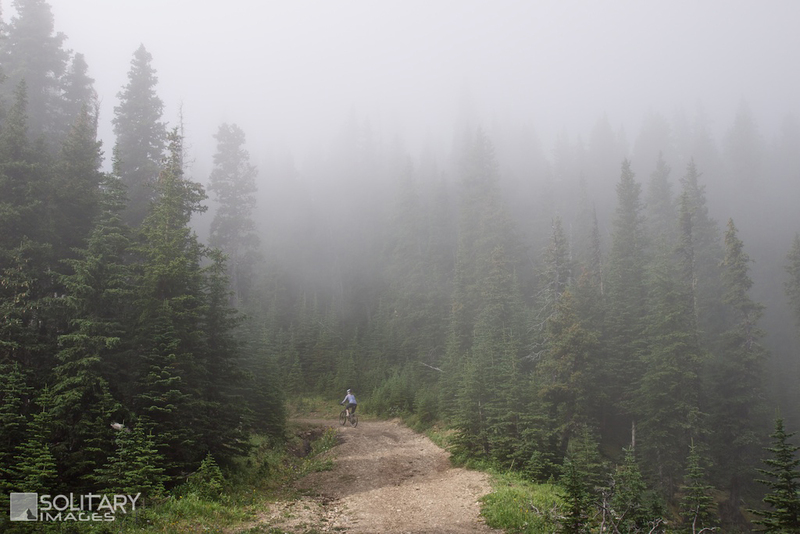 A classic fast paced descent or a very challenging leg burning technical climb. Moose Packers could be considered the original Downhill trail, or a very challenging old school cross country trail. Dropping from the sub alpine to valley bottom within a few quick kilometers! To Get Here: From the 4 way stop on HWY 22 next to Bragg Creek, take HWY 22 south to a T intersection. Turn right (westbound) on HWY 66. 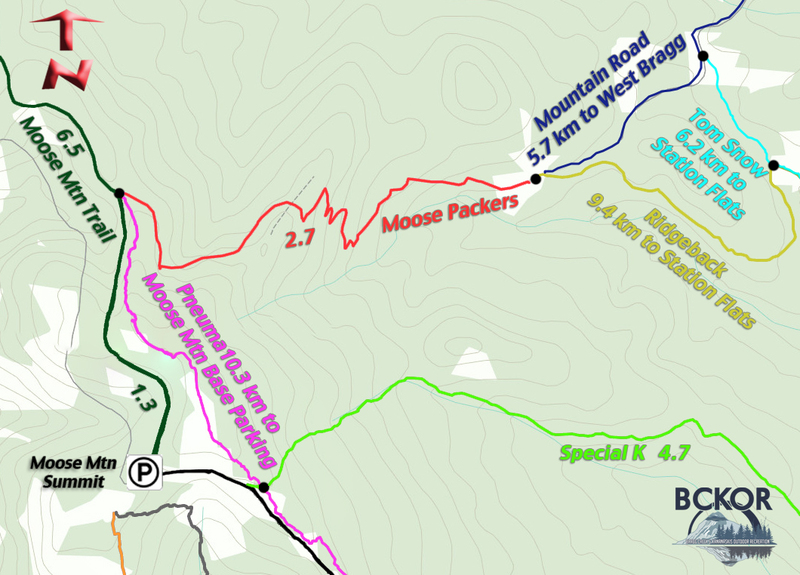 The most common access point to Moose Packers is either from Moose Mtn Summit or Base Parking. Travel 16. 1km west down HWY 66 to Moose Mountain Road which is the first road on your right past Station Flats. Take this dirt road to the the last corner before the end, where you'll find the Moose Mountain parking lot on your right. Moose Packers is most commonly used as a descent from Pneuma, or the Moose Mtn Summit Parking. Either Take Pneuma to the end or, from the summit parking lot, bike a few meters back towards HWY 66 to gain the narrow road with an access gate. Follow this road as it descends for 80m and just over 1km to the Moose Packers junction. Start the adrenaline descent through the dense forest surrounding Moose Packers. Moose Packers is a steep smooth descent loaded with sharp corners and the occasional wide open view down the valley. A quick drop down leads to an open meadow and the intersection of Ridgeback and Mountain Road. Alternatively, use Moose Packers as a steep technical climb up from Ridgeback or Mountain Road.